The new G4 web-based apps deliver powerful tools for managing SWITCHWARE® and EZswitch® systems. Customers taking advantage of the new web-based apps report exponential improvement in ease-of-use, system navigation, transaction processing management and general system control. The new “thin” client frontend architecture provides an entirely new look-and-feel for users who access SWITCHWARE® and EZswitch® to perform transaction research and system monitoring tasks. 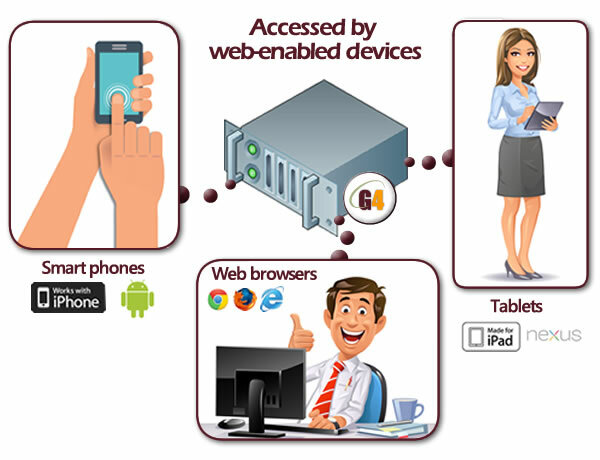 Relying upon web-browser access to the system, the new apps use the latest technology for single sign-on support by integrating with LDAP or Active Directory. G4’s at-a-glance view of the switch network and enhanced intuitive navigation tools allow any user easy access to the application’s full capabilities. Additional modules for managing batch file delivery, scheduled tasks, and monitoring of system performance are included. Integration of G4 Web-based Apps with SWITCHWARE® and EZswitch® is the key to unleashing the full potential of these powerful solutions. New! Learn more about G4 Network Denial Rules! The ability to perform real-time cardholder and transaction research is simplified. It employs icon-based graphical representation with a hover-over feature and drill-down capability. Transaction research features allow for searching by range and multiple values. Cardholder research is performed by inputting full (or partial) names, card numbers, or account numbers. Hovering over codes or other obscure identifiers provide instant plain English explanations of their meanings. The system wide monitoring dashboard provides users with a real-time status and processing summary of every connection in the switching network. It displays transaction statistics and volumes for select periods. Disk space capacity, database, and file system connection status can also be monitored from the G4 monitoring app. Color coded alerts notify the user when an issue occurs and requires attention.